A favourite idea comes alive! According to the motto “in you – boundless” people invite their friends to take part without any obligation. 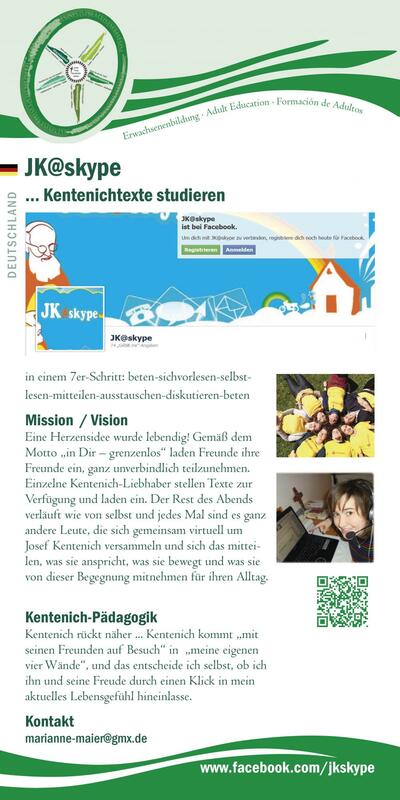 Individual Kentenich enthusiasts offer to look for a text and to invite friends to take part. The rest of the evening proceeds automatically, and each time very different people gather online around Fr Kentenich and pass on what appeals to them, what moves them and what they are taking with them for their everyday life from this encounter. One thing is guaranteed – Fr Kentenich will greatly enjoy it! We are certain of that. Kentenich comes close ... Kentenich comes “with his friends to visit me” in “my home”. I decide this for myself, closer to the time and according to my feelings, whether I allow him and his friends into my actual situation with a click.